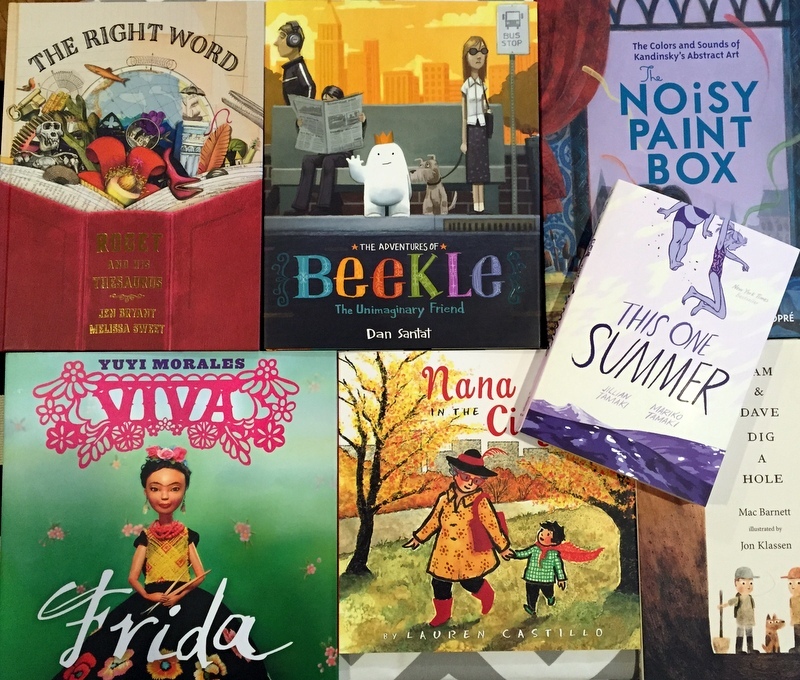 The ALA Youth Media Awards were held on Monday at the ALA Midwinter Conference (very exciting library stuff), and the 2015 Caldecotts and Newberys are the biggest announcements. I did a roundup of the winners for GeekMom this week, but here at home we’re focused on the Caldecotts. I’m sure I’ve written before about the collection of Caldecott books we have for H, including all the books each year back to when I was pregnant with her. This year that meant seven books, good gravy. That was a lot of books to track down, everything sells out quickly after the announcements. But, while Amazon was completely sold out of all but one title I was able to reserve online all 7 books at 3 different Barnes and Noble stores. One was in Union Square near Adam’s office, so he helped round out the collection by picking that one up for the little miss. This is possibly the most on top of award season as I’ve been. The last time I ordered and waited for Amazon to restock, it was a good 3 months before I had all of the titles. So 7 books, and we’ve read three of them together so far. For the first time ever, a YA graphic novel got a Caldecott Honor. So…I will read that one on my own and then tuck it away on a shelf until H is much older. We love, love, love Beekle. That is all.